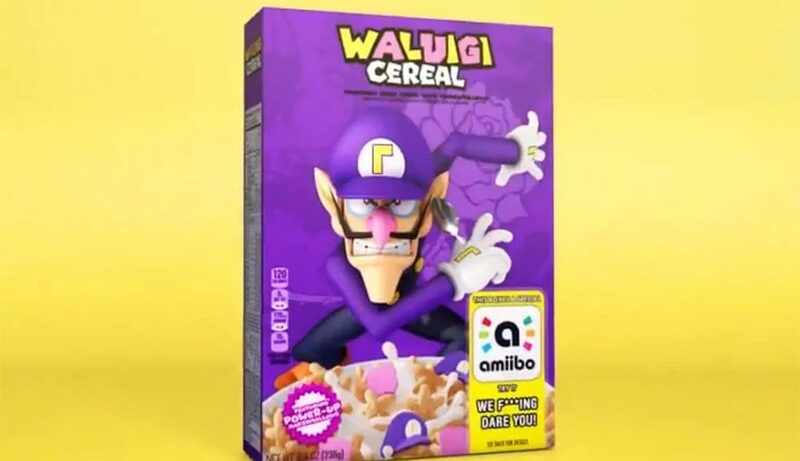 Fan-Art: What If Waluigi Got His Own Breakfast Cereal? If this was real, Nintendo fans would certainly be purchasing it for the wrong reasons. HardDrive recently posted its own satirical take on what Waluigi’s very own breakfast cereal would look like. Similar to the wildly popular Super Mario Cereal from last year, the hypothetical Waluigi product also features its own amiibo box – along with some…questionable marshmallows. Would you buy a Waluigi product like this ever? Let us hear your comments below.